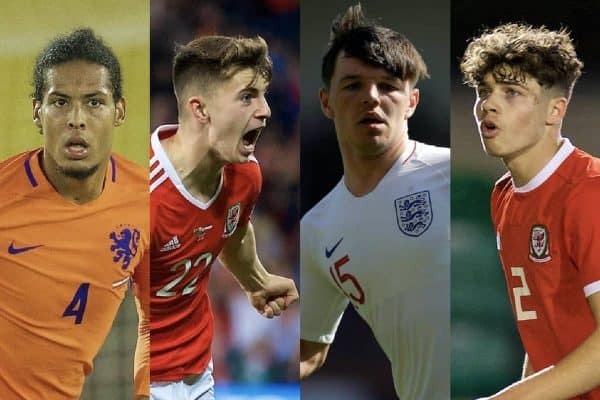 Ben Woodburn‘s goal at the death secured victory for Wales as a plethora of Liverpool’s internationals got stuck into the latest round of tournament qualifiers. The commencement of the latest round of international fixtures saw a host of Reds in action over the last couple of days. 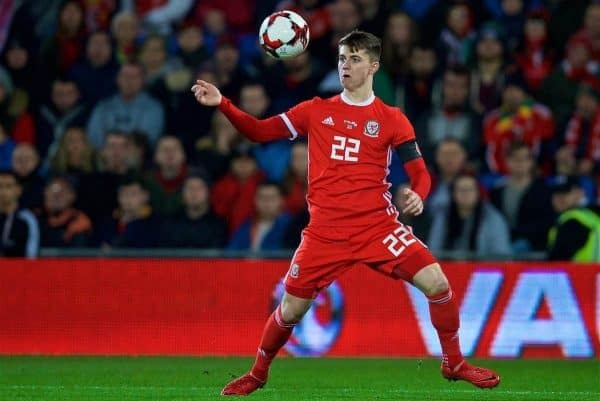 Ben Woodburn was the hero for Wales having bundled the ball over the line from close range deep in stoppage time to secure a 1-0 win over Trinidad & Tobago. Despite the youngster having returned to Liverpool after failing to feature prominently this season for Sheffield United during his loan spell, the 19-year-old was backed from the off by manager Ryan Giggs, while Harry Wilson was an unused substitute. It was Woodburn’s second senior goal for his country and one which he will hope keeps him in the starting lineup for Wales’ European Championship qualifier against Slovakia on Sunday afternoon. Van Dijk and Wijnaldum were also standouts having each found the back of the net in the Netherlands’ convincing 4-0 win over Belarus in their opening qualifier for Euro 2020. The pair played the full 90 minutes in Rotterdam, where Wijnaldum’s deployment in a more advanced position saw him land on the scoresheet midway through the first half after a brilliant late run into the box. 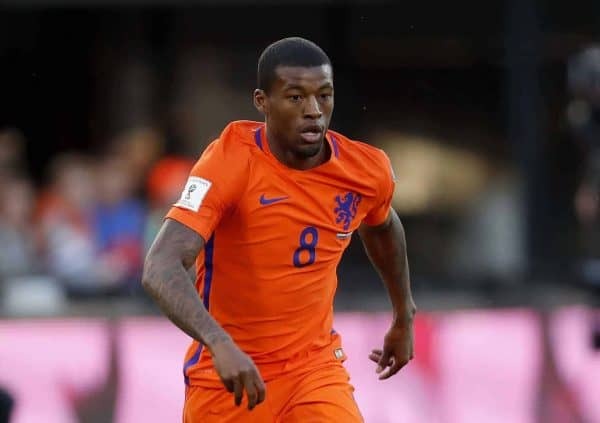 Wijnaldum, who lined up in the city where his career took flight, had set up the move in midfield having unleashed Memphis Depay on the wing, before finding himself on the end of his delivery to double the lead. Our No. 5 later won a penalty for Depay’s brace having been caught in a rather tender area in the box. The Netherlands’ skipper, Van Dijk, then added the finishing touches with a headed finish four minutes from full-time—his fourth goal in his last six games for club and country, and his third in his last four for the Netherlands. Both Simon Mignolet and Divock Origi remained on the bench for the duration of Belgium’s 3-1 Euro qualifying win over Russia, meanwhile Dejan Lovren failed to make Croatia’s matchday squad for the 2-1 win over Azerbaijan as he served a suspension. Elsewhere, Curtis Jones played the first half in the England U18s’ 4-1 win over Japan, a game which also saw the prolific Bobby Duncan notch an assist after coming off the bench with a quarter of an hour remaining, but Rhys Williams was an unused substitute. Fellow Liverpool youngster Rafa Camacho played 72 minutes in the Portugal U19s’ dominant 3-0 win over Cyprus in their U19 Euro qualifier. Ki-Jana Hoever was a mainstay at the heart of the defence for Netherlands U17 in their 5-0 mauling of Northern Ireland in the second stage of their Euro U17 qualifiers. Kamil Grabara, Edvard Tagseth, Neco Williams, Morgan Boyes, Patrik Raitanen and Taiwo Awoniyi were among those also in action on the youth stage, but Vitezslav Jaros missed the Czech Republic U18s’ 5-0 win over Belgium due to injury. 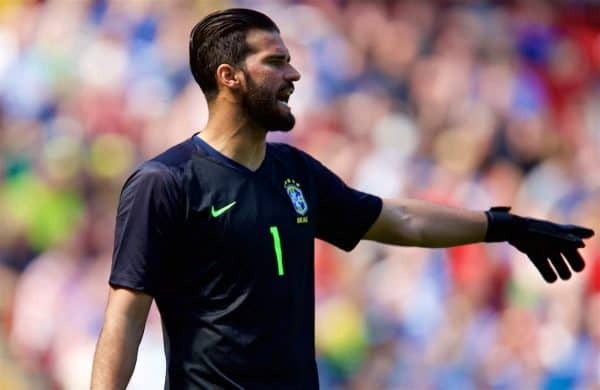 Friday and Saturday could see several Liverpool stars represent their country, most notably the Brazilian trio of Alisson, Fabinho and Roberto Firmino who all have a realistic opportunity to start against Panama. After proving his fitness following his absence against Fulham due to an ankle injury, Jordan Henderson could make an immediate return to England’s starting lineup against the Czech Republic in the Three Lions’ opening Euro 2020 qualifier. Lastly, Sadio Mane is also expected to feature prominently for Senegal in the African Cup of Nations qualifier against Madagascar, where he will be eager to end his four-game wait for a goal for his country after scoring 11 in 11 for the Reds.